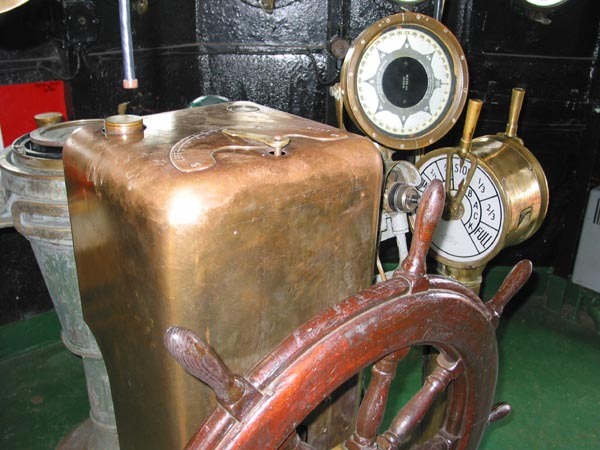 In the wheel house one will find the ship's wheel, magnetic compass gyro compass repeater and the engine order telegraph. 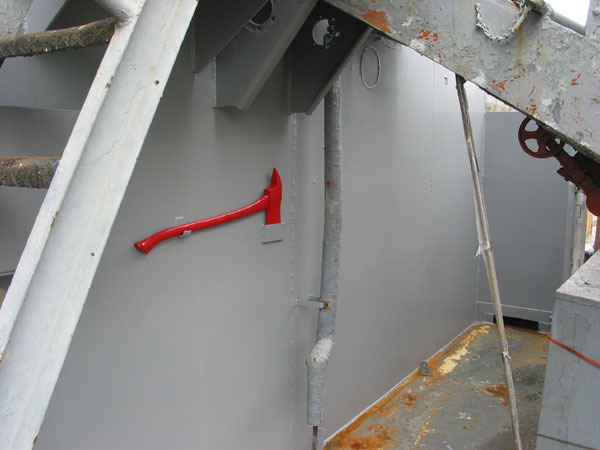 From this station the helmsman receives order for the conn on which heading to steer and at what speed. 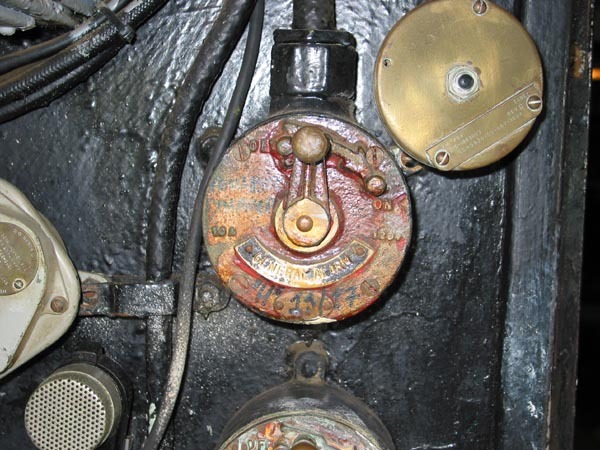 The desired speed is set on the telegraph and registers on a duplicate in the main engine room. 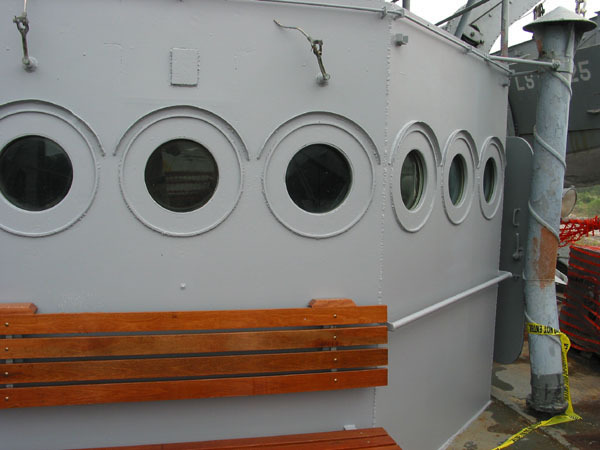 Exterior views of the wheel house and the 01 deck. 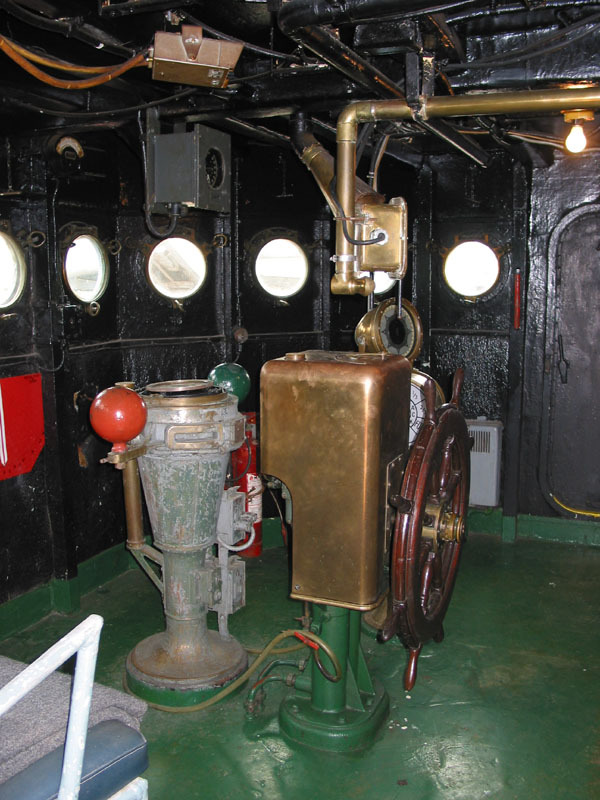 Close up view of the ship's wheel, engine order telegraph and gyro repeater. 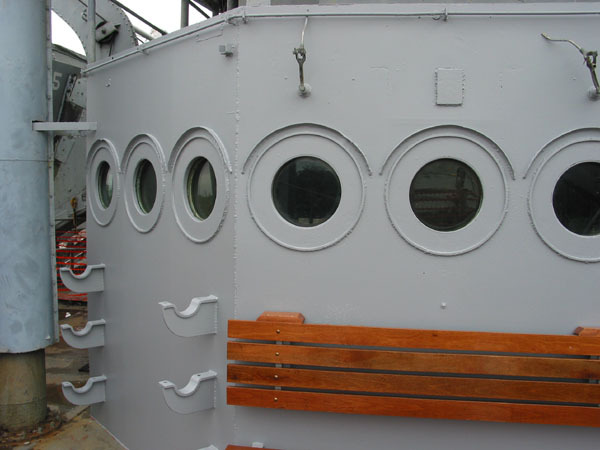 Overall view with in the wheel house looking from port to starboard. 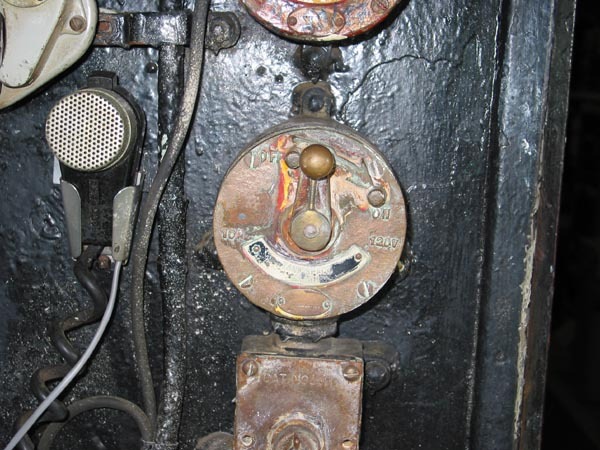 On the aft bulkhead of the wheel house are controls for various lights, internal communications and alarms.